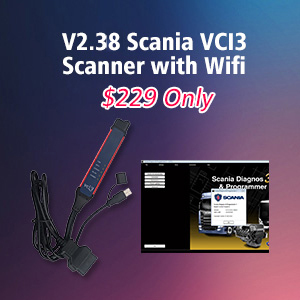 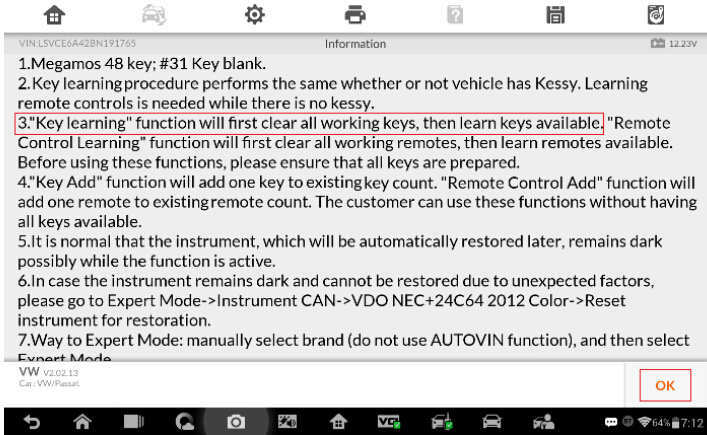 This post show the guide on how to conduct VW Key Learning on Auro OtoSys IM600. 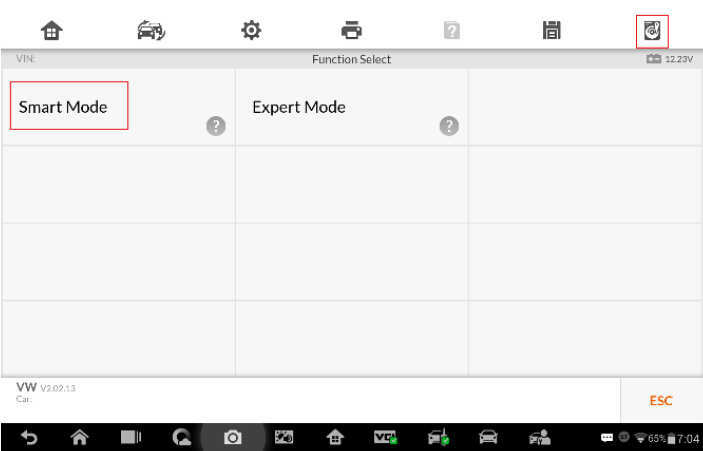 Smart Mode-accesses to a function menu where each function is configured as a smart guide system. 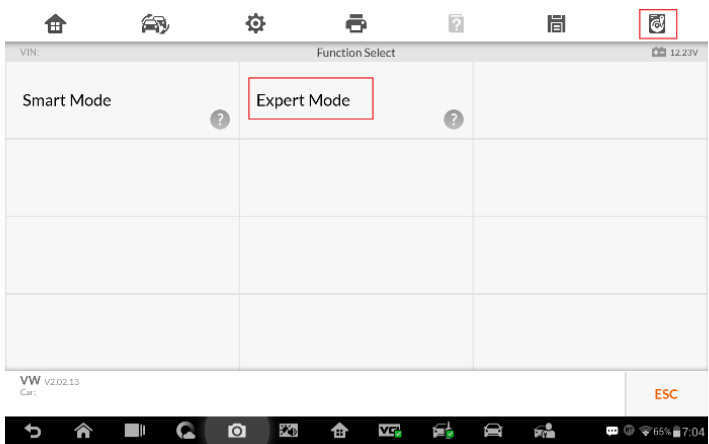 Expert Mode-ccesses to a function menu where each function is separated from each other. 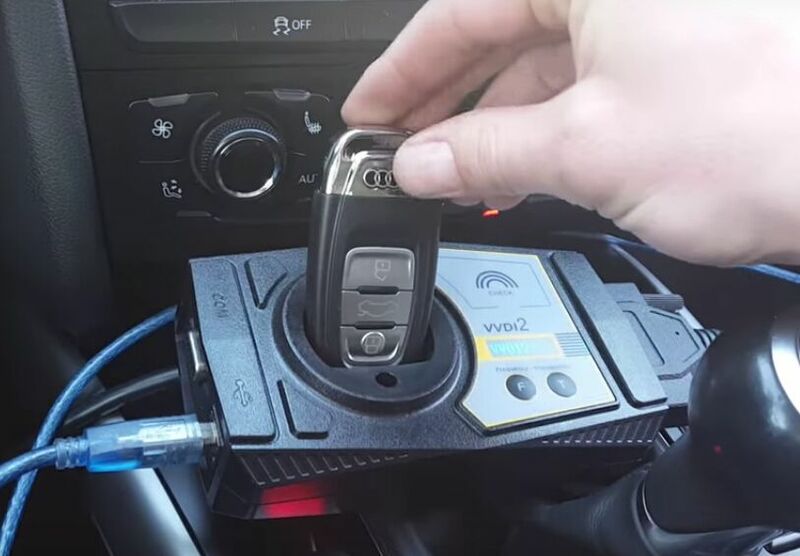 1.Connect the OtoFlash to the vehicle’s DLC via the included main cable for both communication and power source. 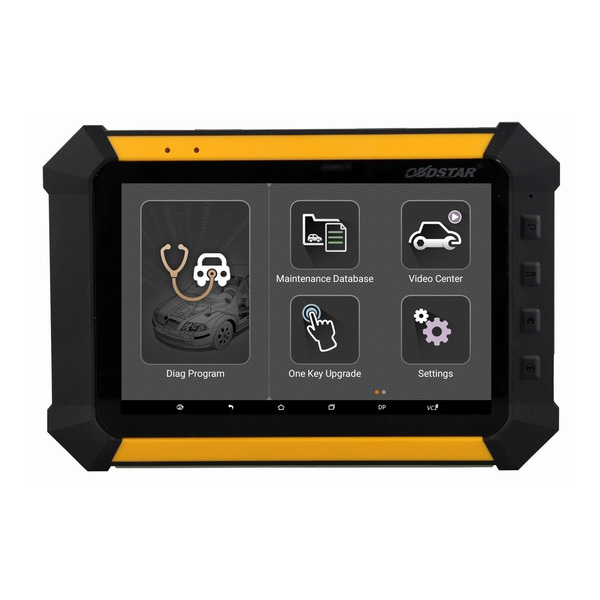 2.Connect the OtoFlash to the IM600 tablet via BT pairing or USB connection. 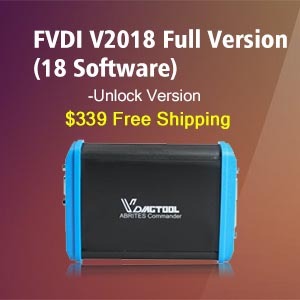 3.Connect the IM600 tablet to the programmer UP400 via the included USB cable. 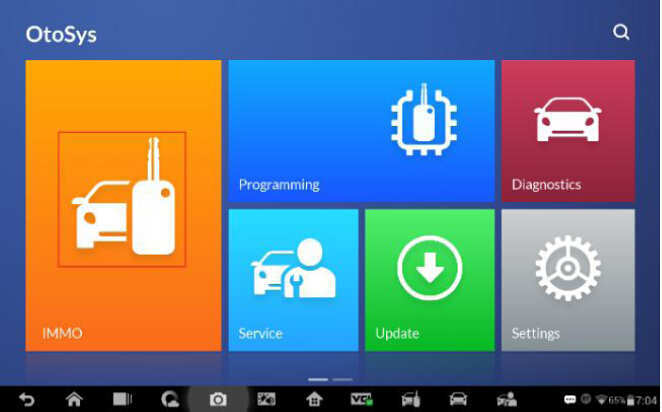 4.Make sure the user has access to WiFi service. 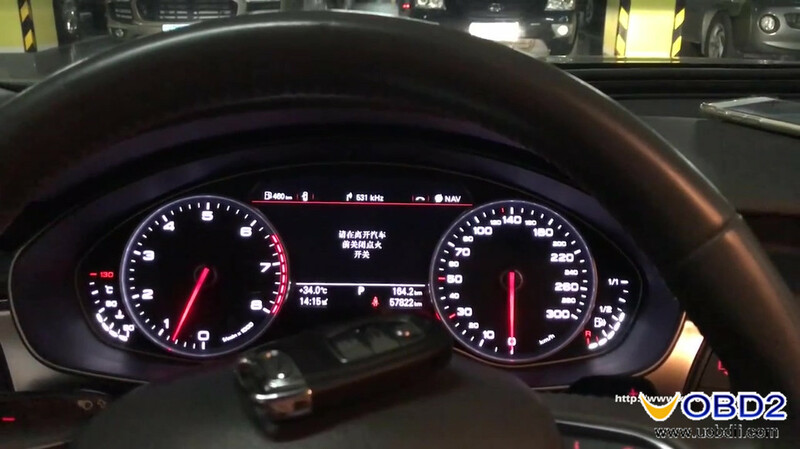 5.Insert an original key into the ignition switch and turn the ignition on. 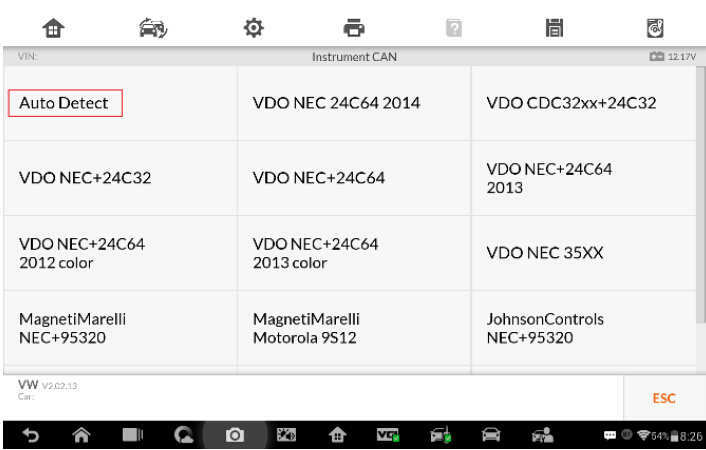 1.Turn on the IM600 tablet and connect to WiFi. 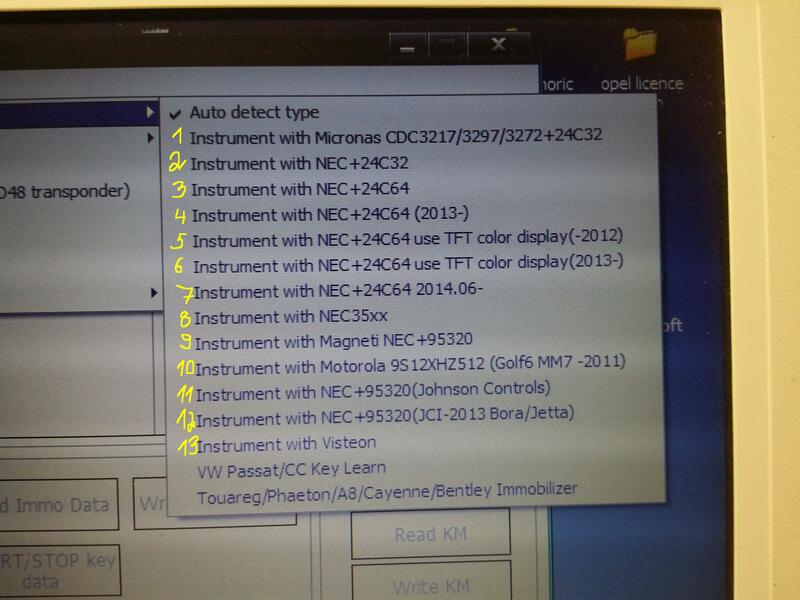 2.Tap OtoSys > IMMO. 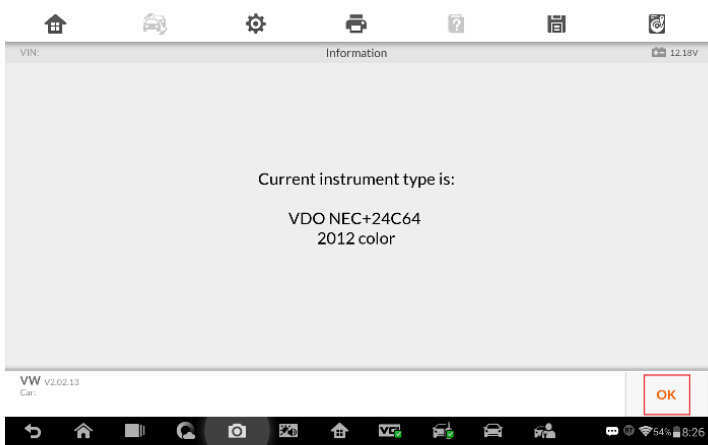 A vehicle menu displays and a disclaimer prompts up. 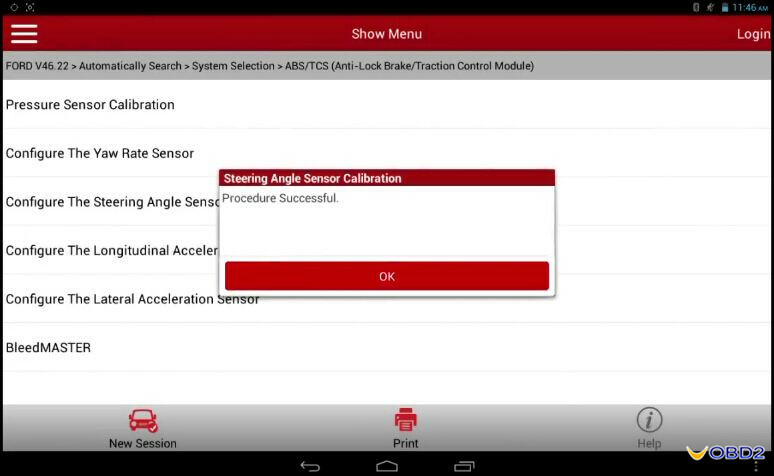 Tap Accept to continue. 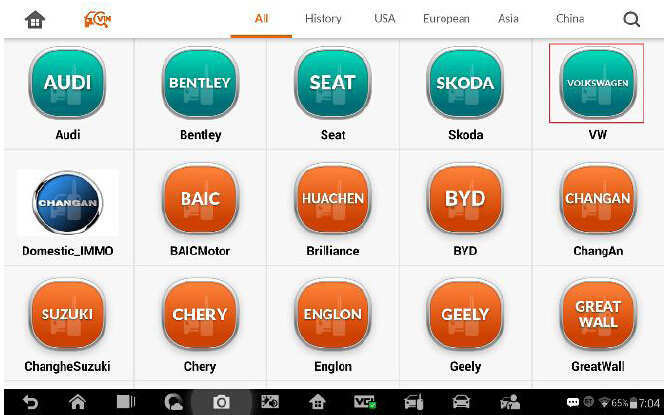 3.Tap VW on the vehicle menu. 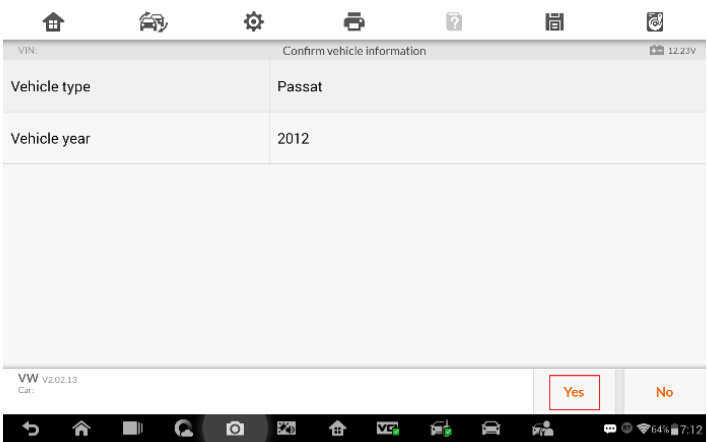 4.Tap Smart Mode on the mode menu and then the IM600 tablet automatically identifies the vehicle information. 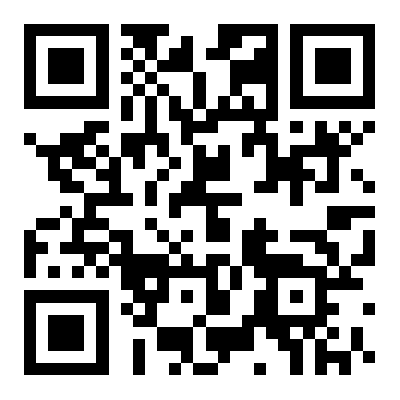 Tap Yes to continue. 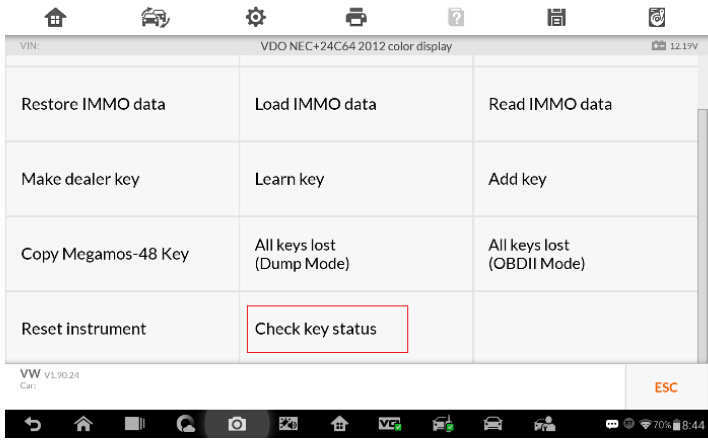 6.Check the key status if needed and tap ESC to continue. 7.Tap Key Learning on the function menu. 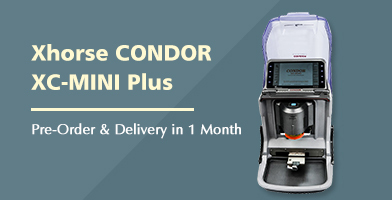 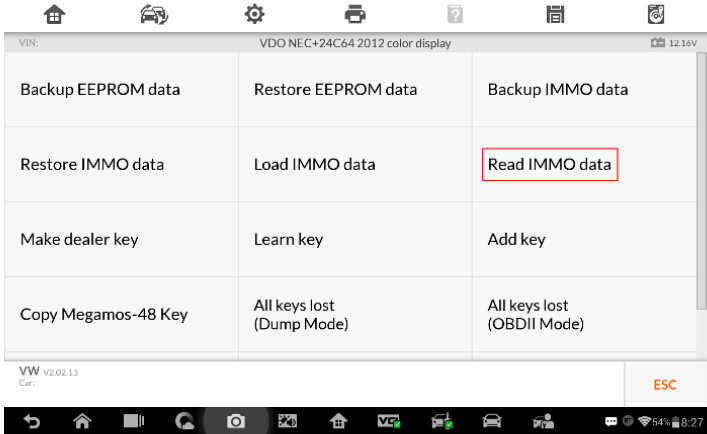 Read IMMO Data, Make Dealer Key and Learn Key. 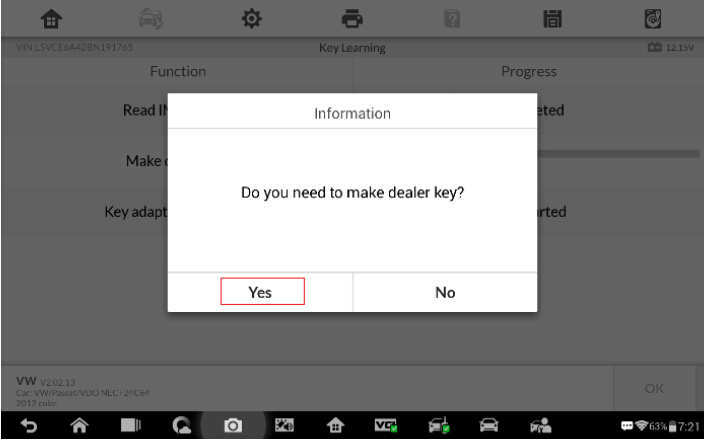 9.When Make Dealer Key starts, a “Do you need to make a dealer key?” message prompts up. 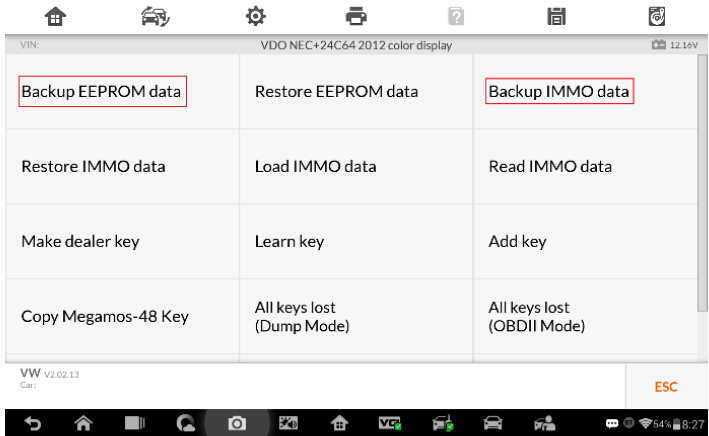 Tap Yes to continue. 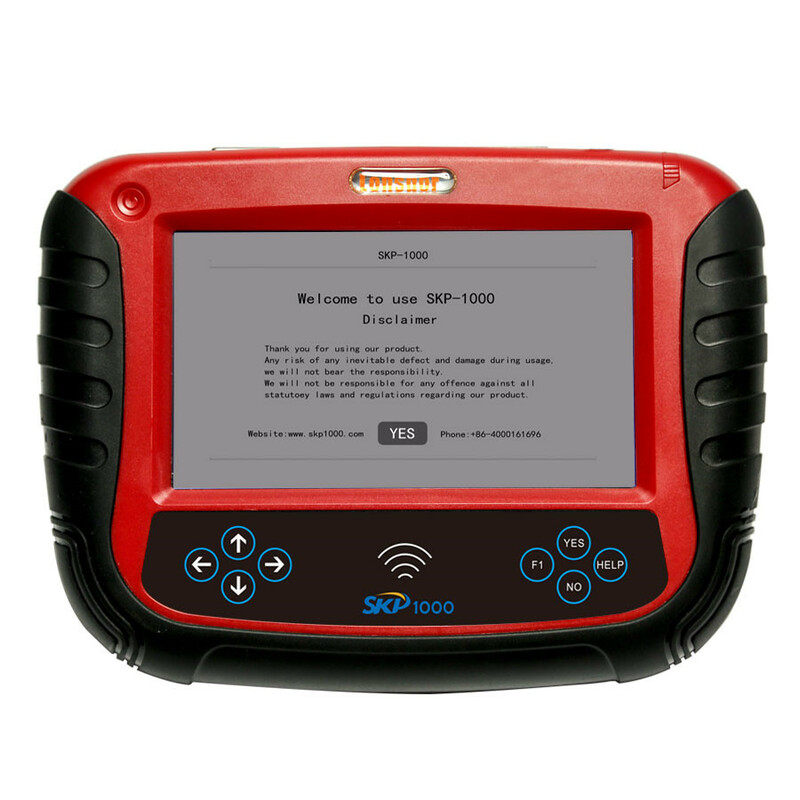 10.Follow the onscreen instruction to put a Blank Key into the key slot of the UP400. 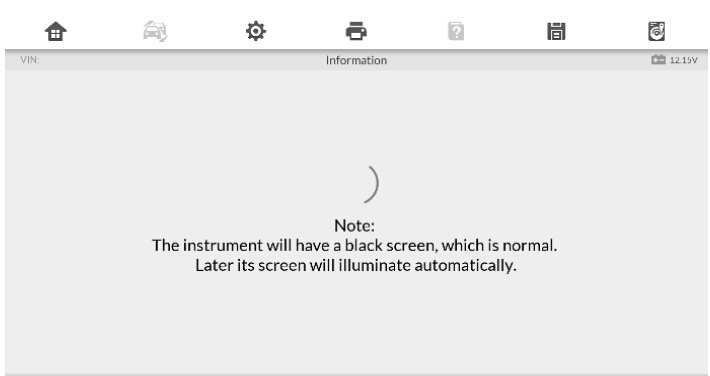 Then tap OK to continue. 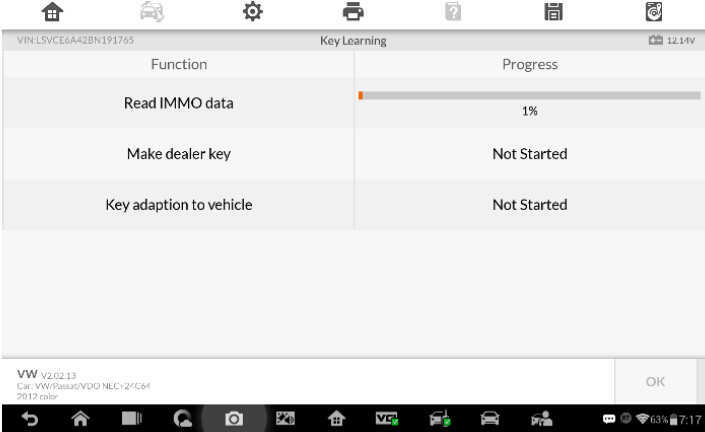 11.A “Make dealer key success!” message prompts up when the process is completed. 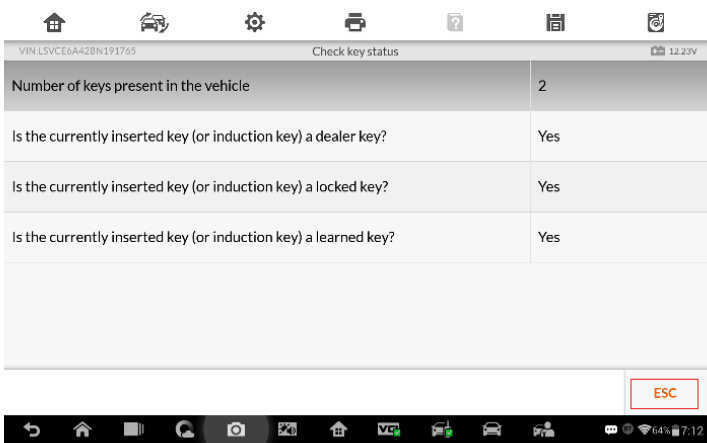 Tap Yes to repeat step 10 and make the next dealer key with a new key; tap No to move to the next step, Learn Key. 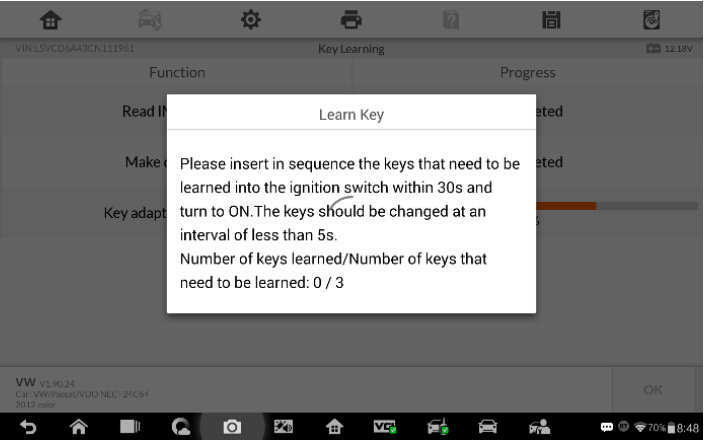 13.Input the number of keys to be learned and tap OK to continue. 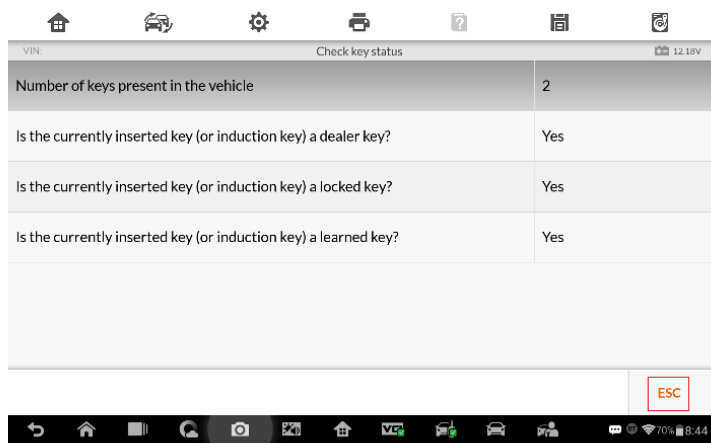 14.Follow the onscreen instruction to insert the keys to be learned into the vehicle ignition switch. 15.When a “Key learning completed!” message prompts up, tap OK to continue. 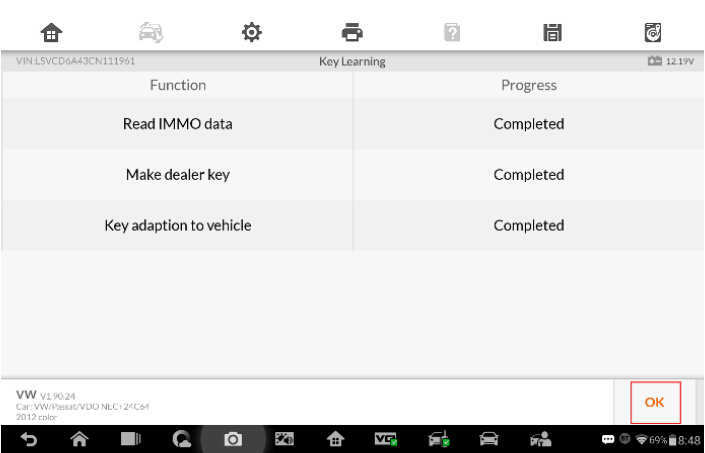 17.When Key Learning is completed, tap OK to check the key status. Then tap ESC to exit. 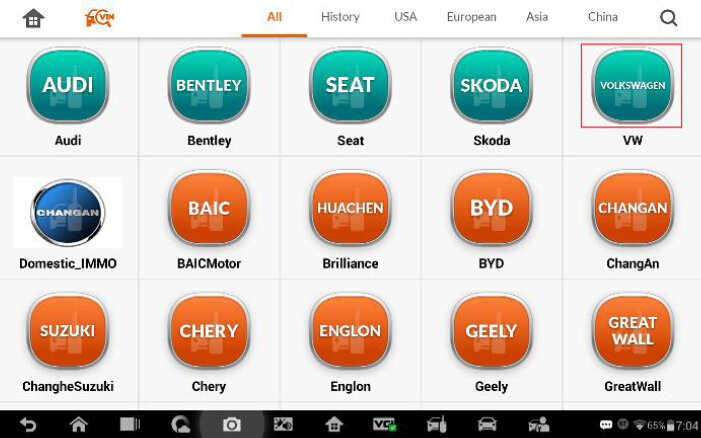 4.Tap Expert Mode on the mode menu. 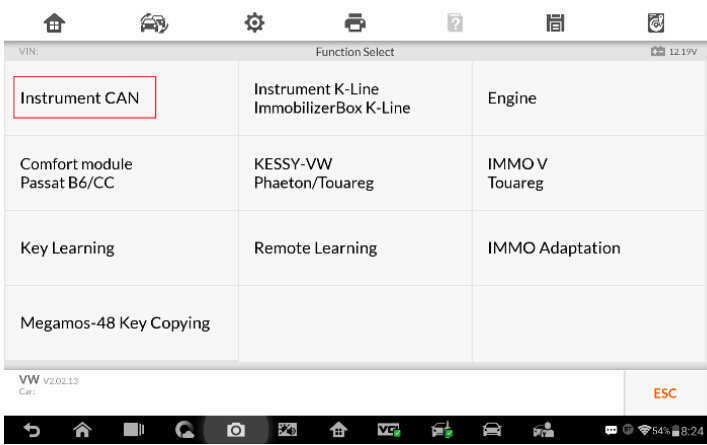 5.Make selections to step by step locate the IMMO type and display the function menu. 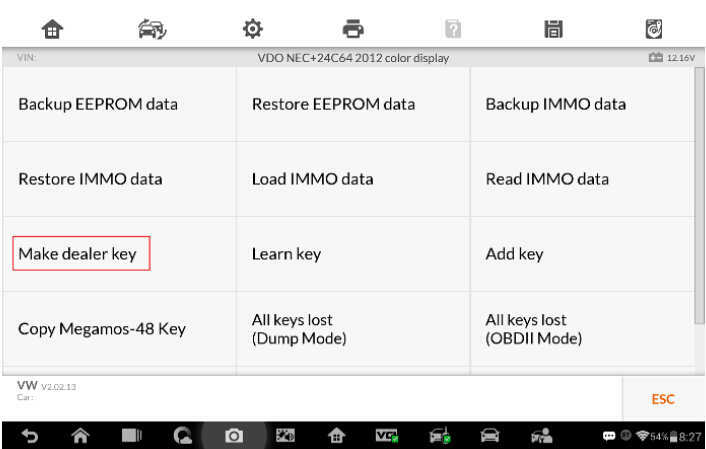 7.Tap Read IMMO data on the function menu. 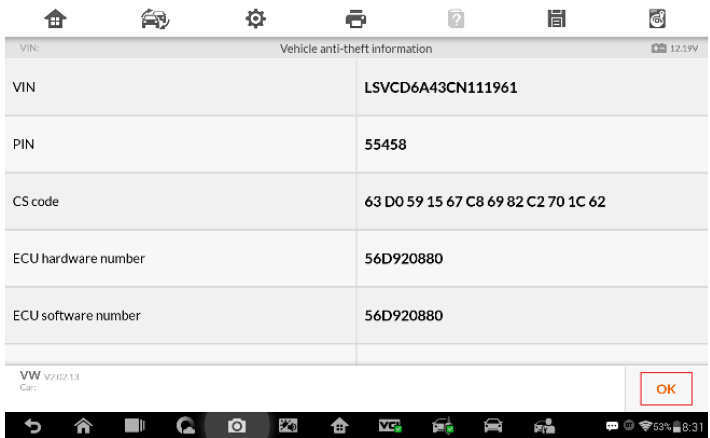 8.Read the vehicle anti-theft information and tap OK to exit. 9.Tap Make dealer key on the function menu. 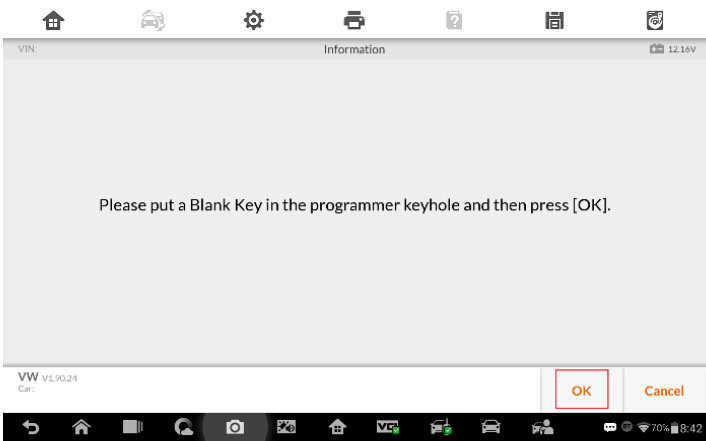 10.Follow the onscreen instruction to put a Blank Key into the key slot of the UP400 and tap OK to continue. 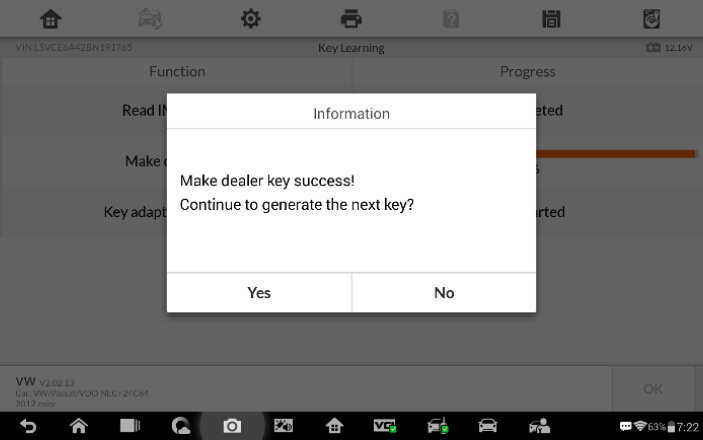 11.When a “Make dealer key success!” message displays, tap OK to exit. 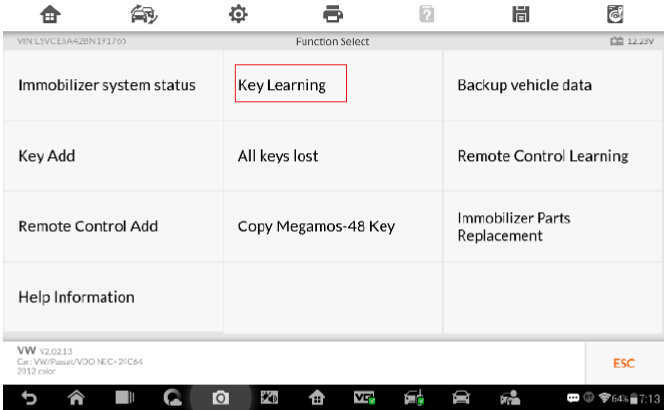 12.Tap Learn key on the function menu. 13.When a “Does vehicle have Kessy?” message displays, make selection accordingly. 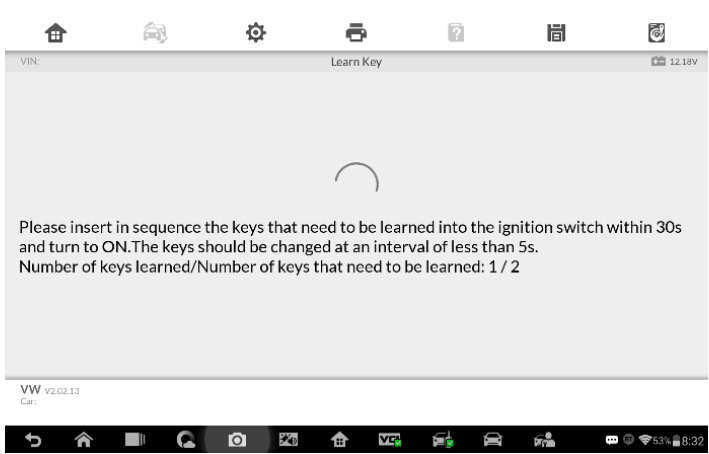 14.Input the number of keys that need to be learned. 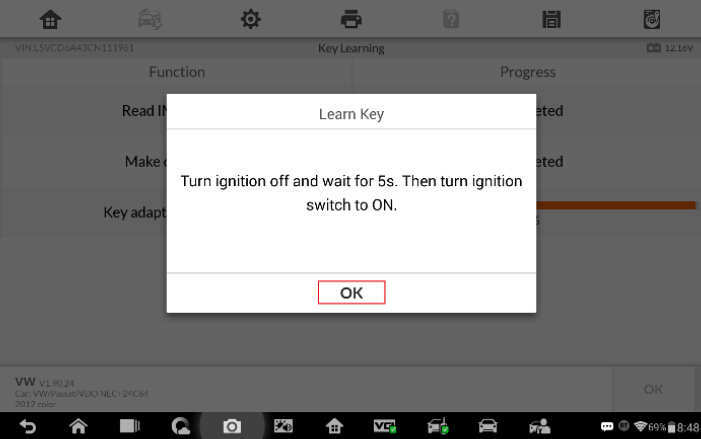 15.Follow the onscreen instruction to insert the keys to be learned into the vehicle ignition switch. 16.When a “Key Learning completed!” message displays, tap OK to continue. 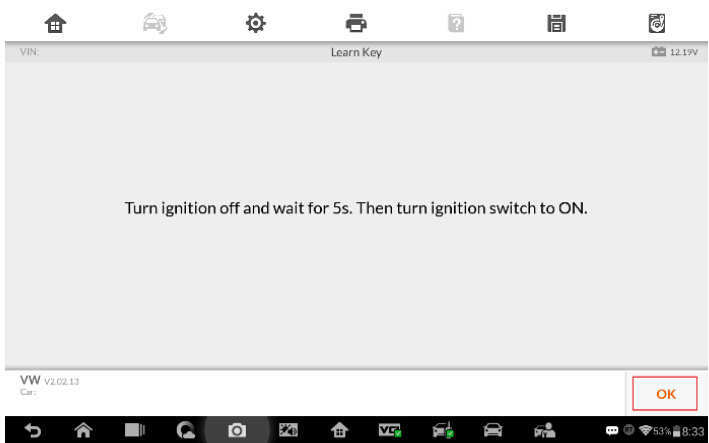 17.Follow the onscreen instruction to turn the ignition off and then back to ON. 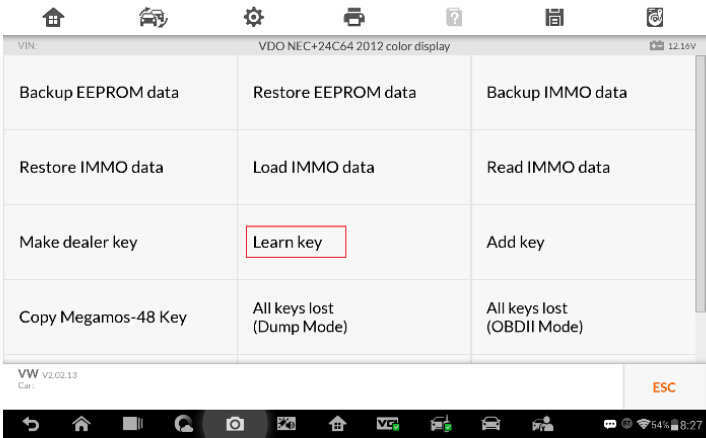 Tap OK to complete Key Learning and exit. 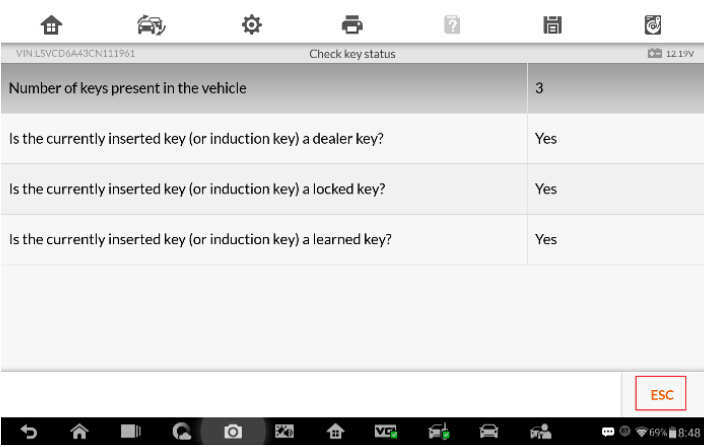 18.Tap Check key status on the function menu to check if all keys are learned. 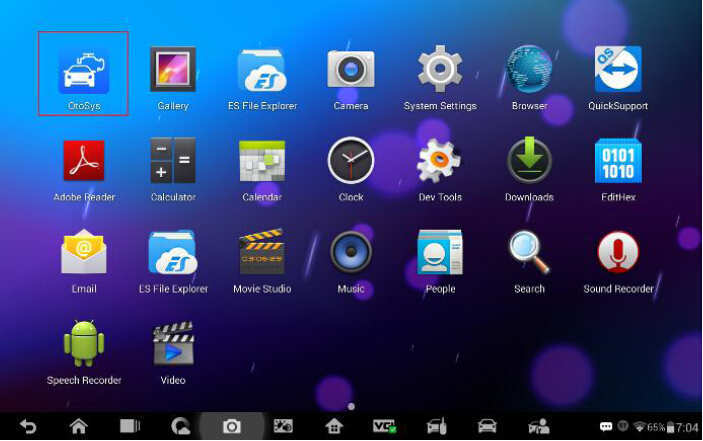 Tap ESC to exit.